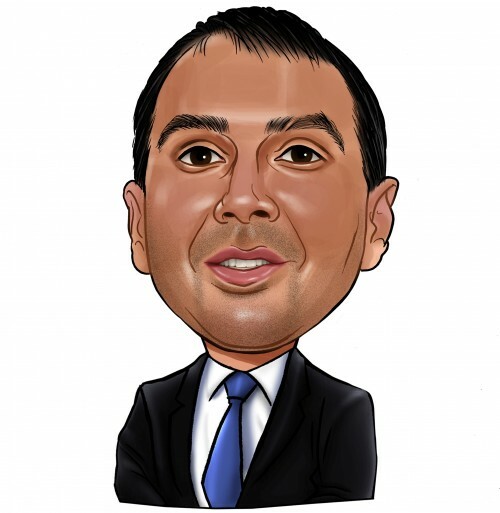 The 700+ hedge funds and money managers tracked by Insider Monkey have already compiled and submitted their 13F filings for the second quarter, which unveil their equity positions as of September 30. We went through these filings, fixed typos and other more significant errors and identified the changes in hedge fund positions. Our extensive review of these public filings is finally over, so this article is set to reveal the smart money sentiment towards Tribune Media Company (NYSE:TRCO). Tribune Media Company (NYSE:TRCO) investors should be aware of an increase in activity from the world’s largest hedge funds recently. TRCO was in 39 hedge funds’ portfolios at the end of September. 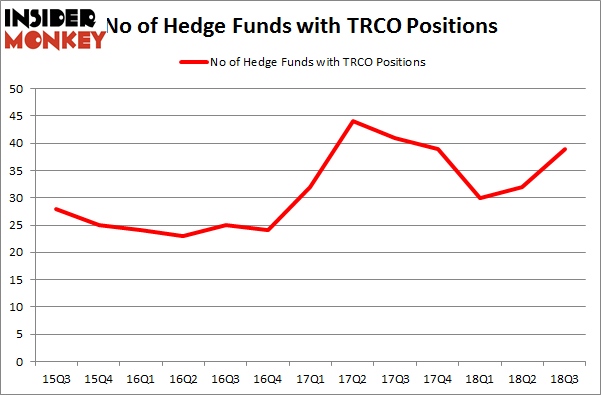 There were 32 hedge funds in our database with TRCO holdings at the end of the previous quarter. Even though our calculations also showed that TRCO isn’t among the 30 most popular stocks among hedge funds, this is quite normal for small-cap stocks. Overall hedge funds owned nearly 40% of TRCO’s outstanding shares. Let’s take a look at the key hedge fund action regarding Tribune Media Company (NYSE:TRCO). What does the smart money think about Tribune Media Company (NYSE:TRCO)? At Q3’s end, a total of 39 of the hedge funds tracked by Insider Monkey held long positions in this stock, a change of 22% from the second quarter of 2018. By comparison, 39 hedge funds held shares or bullish call options in TRCO heading into this year. With the smart money’s sentiment swirling, there exists a select group of notable hedge fund managers who were increasing their stakes significantly (or already accumulated large positions). Among these funds, HG Vora Capital Management held the most valuable stake in Tribune Media Company (NYSE:TRCO), which was worth $244 million at the end of the third quarter. On the second spot was Klarman’s Baupost Group which amassed $230.4 million worth of shares. Moreover, Oaktree Capital Management, GAMCO Investors, and Soros Fund Management were also bullish on Tribune Media Company (NYSE:TRCO), allocating a large percentage of their portfolios to this stock. With a general bullishness amongst the heavyweights, key money managers were leading the bulls’ herd. HG Vora Capital Management, managed by Parag Vora, created the most valuable position in Tribune Media Company (perfect timing!). HG Vora Capital Management had $244 million invested in the company at the end of the quarter. George Soros’s Soros Fund Management also made a $61.5 million investment in the stock during the quarter. The other funds with new positions in the stock are Steve Cohen’s Point72 Asset Management, and Brett Barakett’s Tremblant Capital. Let’s also examine hedge fund activity in other stocks similar to Tribune Media Company (NYSE:TRCO). We will take a look at GreenSky, Inc. (NASDAQ:GSKY), Merit Medical Systems, Inc. (NASDAQ:MMSI), Simpson Manufacturing Co, Inc. (NYSE:SSD), and SYNNEX Corporation (NYSE:SNX). This group of stocks’ market caps resemble TRCO’s market cap. As you can see these stocks had an average of 16.5 hedge funds with bullish positions and the average amount invested in these stocks was $227 million. That figure was $1293 million in TRCO’s case. GreenSky, Inc. (NASDAQ:GSKY) is the most popular stock in this table. On the other hand Merit Medical Systems, Inc. (NASDAQ:MMSI) is the least popular one with only 12 bullish hedge fund positions. Compared to these stocks Tribune Media Company (NYSE:TRCO) is wildly popular among hedge funds. We recommended a position in TRCO in our quarterly newsletter’s November issue (right before the jump in TRCO’s stock price). Unfortunately it is too late to buy this stock now to realize big gains.